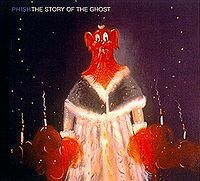 This show featured the Phish debut of Mountains in the Mist. Meatstick was played for the first time since June 25, 1997 (124 shows). Trey teased Dueling Banjos in Taste. 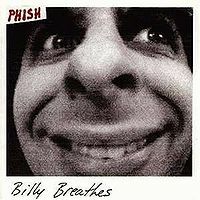 Twist contained an Oye Como Va tease from Trey. Little Drummer Boy was played for the first time since December 6, 1986 (1,183 shows) by Fish solo on the snare drum, with alternate lyrics. Bill Bailey (first since November 18, 1995, or 243 shows) featured Page’s father, Dr. Jack McConnell, on vocals and kazoo. The vibe at the hotel was amazing. Ususal heady and kind people, I was wearing my Mets hat as usual and even the Braves Phans were nice to me. This was one of many times seeing Mike on the lot in a golf cart. If you're a fan of Meatstick this is the US debut. Also the debut of Mountains, we caught this a few days later in NJ again too. The band was really enjoying themselves, you can hear it listening back to the audio. Fish's rendition of drummer boy...the band was just themselves and wacky and we left that night knowing the 4th was going to be an even better show. Great 1st Set! 1 of the best i've ever seen. I usually don't delve too far into pre-show specifics, but on this, the 19th anniversary of my 12th show, I thought I'd indulge myself. My cousin drove down from West Virginia to North Carolina the night before. Over a few beers at one of my local bars we told ourselves we'd take it easy on account of having a long run of shows ahead of us. I'm sure you can see where this is going. Fast forward a few hours and we'd gotten so drunk we'd decided to settle some long-forgotten dispute with a good ol' fistfight outside of my apartment. The fight reached its zenith when he landed a fantastic PYITE (still have the scar!) and I smashed his head into a mailbox. As luck would have it, our server the next morning at breakfast was my senior prom date. Her jaw literally dropped at our appearance. On to Atlanta! The lot outside Lakewood was steaming, full of very fucked up heads and a ton of undercover cops. We saw Mike zoom by on the gocart. I traded my extra ticket for a 10 strip and promptly ate the whole thing. To say that I had difficulty getting into the show would be a tremendous understatement, but arrive we did, just in time for a blazing Chalkdust. 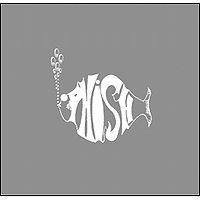 Even this early on in my phish career, I thought this was a fairly uninspired opener choice, and they made me pay by laying down one of my still-favorite versions and followed that up with my still-favorite version of Gumbo. Here is where we got the first taste of the swirling loops that would go on to define the summer '99 sound. Tube is also worth checking out. The second set, despite the somewhat raggedy ending, is one of my favorites of all time. The Piper, in particular, was the first version I ever heard (and I think may be *the* first version) where they really stretch out the beginning. Relistening, it's clearer now than ever that Fish is controlling the tempo on this one. The intensity builds and builds, a very good metaphor being when you're doing your level best to not to bust, and when you do, it's absolutely glorious. Trey (continuing the metaphor) unloads on the back end and we melt into a wonderfully fresh Moma. 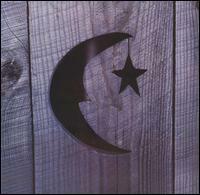 This antelope, along with 11/22/97, continues to serve as my standard bearer for the song. There is no Piperesque subtlety to this one- they go straight for the jugular from the beginning and ravage the ears the whole way through. During the final buildup, I remember thinking this is what it must have sounded like when the Titanic hit the iceburg. How can four people make this much noise?! Coming out of this was massive whiplash and served as the de facto end of the second set. Thank goodness. I don't know if I could have stood much more. We'd made campground reservations near the venue and, being the 21-year-old idiots that we were, brought sleeping bags but no tents. Those mosquitos got so much blood from us, they're probably still sitting around on the couch digesting their meals. OUCH. This was a great opening night for our five show run. I only hope that one day they wisen up and release this as a two-show box set. Are we headed down the wrong path? The first of two shows in Atlanta, Georgia was built on a solid setlist, fun gags (Fishman as Little Drummer Boy and Page's dad with a kazoo), and a handful of good jams.... but the new ambient jam based songs from the newly released Siket Disc were missing and so were the spacey transitions and ambient accented jams that will grow to define the year. In 3.0 Phish shows we have grown to expect short takes on Tube, Gumbo, Free, Mike's Song and AC/DC Bag, but that is not how it used to be... or even how it should be today. 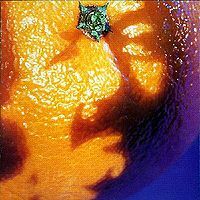 Some versions of those songs from 1999 have achieved legendary status (the 7/23/99 Free as a prime example), but even the seemingly pedestrian takes from 1999 out-muscle the best versions of these tunes since 2009. 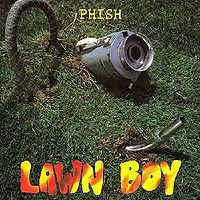 Case-in-point - the highlights from this show aren't even highlight versions of these songs in 1999 but would probably be on some of the "best of 3.0" jams lists oft created by bloggers and phans today - had this show been dropped sometime in the last three years. "Here we go!" Trey sets up and drops a jagged, piercing loop from his Boomerang as the band gets ready for.... Chalkdust Torture. It seems to announce the intent to steer towards the ambient jam mood everyone was expecting, but it quickly is resolved by a standard-but-fiery CDT. The Gumbo from this show is a great example of the ole adage "they don't make em like they used to." This is a funky, extracted take without the modern piano outro. 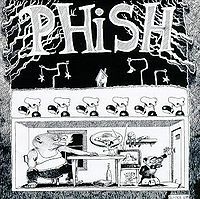 As platforms for greater things, the Gumbo and Tube from the first set of this show provide the much needed opportunity for Phish to get loose early - an aspect lost from most modern Phish shows. This version of Taste also lends itself to some creative space, but nothing too far outside the norm. Lost in this space is the space itself. Trey seems to be filling all the holes and plugging the gaps with riffs and chords, instead of letting the music breathe. 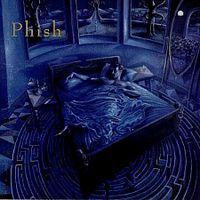 The ambient backdrops and mechanical loops of '99 are missing, and the show as a whole suffers from this loss.... the song selection in this first set certainly lent itself to some great opportunities for exploration. SET 2: The Twist > Piper is the bread and butter of this show for any ambient tinged jam segment, and honestly it still falls a little short. A funky MOMA Dance and a seething Antelope provide other highlights in an otherwise forgettable first night in Atlanta, while the Harry Hood encore does end the show on a positive note.... going into the 4th of July, the fireworks were yet to be displayed.